The domestication of the turkey probably first took place around 2000 years ago in south central Mexico, possibly for their feathers and ritual value rather than their meat. Their rise to the top of the American festive table came much later, not with the Pilgrims but with Charles Wampler, whose efforts to promote turkey raising started Rockingham County, Virginia, on its path to Turkey Capital of the World. That much we heard in the previous episode of Eat This Podcast. In between domestication and proto-industrialisation, however, the wild turkey almost vanished from America, hunted to the edge of extinction. Nature types – and hunters – really thought the turkey was a goner, and it was the hunters who brought it back, to the point where there are now turkeys in 10 states, including Hawaii, that originally had none. In carrying out this successful conservation story, however, the wildlife managers mixed up the turkey’s genetics something rotten, moving birds all over the country and confusing the subspecies no end. Modern genetic analysis has shown just what a mess things are. The bigger question, though, is: does it matter? After all, the Mexican subspecies that gave rise to the domestic turkey is actually extinct. And the remaining five subspecies presumably arose because their ancestors adapted to different environments in different ways. Given time, these new, mixed-up wild turkey populations should do the same. But, as I heard from Joe Smith, an ecologist and wildlife biologist, the lack of genetic diversity in some of the new populations may prove problematic. Joe Smith has a gorgeous website. His article about wild turkey genetics is well worth a read, as is this piece hailing the wild turkey as “the greatest conservation success story”. If you’re interested in that kind of thing, take a look at the deeply fascinating National Wild Turkey Federation, to whom thanks for the banner image. I know it is a forlorn hope, but I’d love to have a single, coherent account of turkey domestication. Here’s some more confusion. Subscribe! Tell your friends to subscribe! Nicola Davies mentioned this note on twitter.com. Laura Kelley liked this note on facebook.com. Greg Laden liked this note on facebook.com. 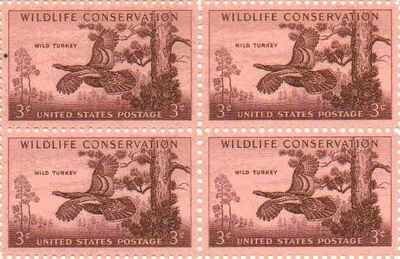 The conservation of the wild turkey was triumph, but it left ornithologists scratching their heads. How many species were there? And where did they live?